The research facility at Fauna Marin in Germany has invented an amazing coral food that not only grows corals but also is one of the very first foods that actually help restore incredible colors to the coral tissue. Coral Sprint is a mix of biopolymers, volatile proteins and various plankton that, unlike most foods and amino acids, will not raise your NO3 or PO4 levels in the Reef system!!! Coral Sprint has extracted a truly innovative collection of beneficial nutrients and proteins which until now, was only found in nature and not used in any other coral food. Fauna Marin has enveloped the volatile coral nutrient into beta-glucan shell cells that when dissolved, becomes readily available through the corals tissue. This is brand new complex technology that is a stunning break-through for our industry, from the hobbyist to massive aquaculture. 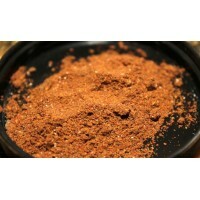 Combine Coral Sprint powder in a cup of tank water, shake well for at least 20 seconds. 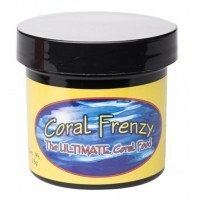 Add 4ml (1 level scoop with the dosing spoon) of Coral Sprint per 130 US gal (500 liters) of aquarium water. Turn off the return pump with your “Feed Pause” if possible. Pour directly into the aquarium. Repeat every (2) days, try to feed at the same time of day (or night, best after lights go off) at each feeding. Note: Due to the differences in tank size, stocking levels, and aquarium husbandry techniques, an exact dosage for your reef cannot be calculated. The amount of Coral Sprint to add to your reef will solely depend on the aforementioned factors. Our feeding recommendations serve as a tool to help you find the appropriate amount of food required by your tank.